Despite maintaining a relatively low profile following the release of his R O Y A L T Y mixtape this past summer, Childish Gambino has popped back into the collective consciousness of music listeners with the surfacing of a short concert film for "L.E.S." 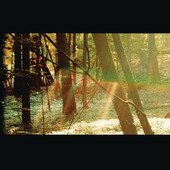 (a common abbreviation for New York's Lower East Side), a track off Gambino's 2011 major label debut album, Camp. Shot over several nights in Manhattan's lively Lower East Side, the near five-minute clip features a quick steamy cameo appearance by Gambino and plenty of shots capturing some of New York's interesting characters, the spirit of the L.E.S. 's nightlife and literal imagery corresponding to the song's lyrics all of which make for a pretty impressive visual.